SignaWood combines classic wood aesthetics with modern engineering to create the ultimate sports flooring. This beautiful beech plank flooring provides the perfect surface for the most demanding activities while creating an elegant and expensive appearance. 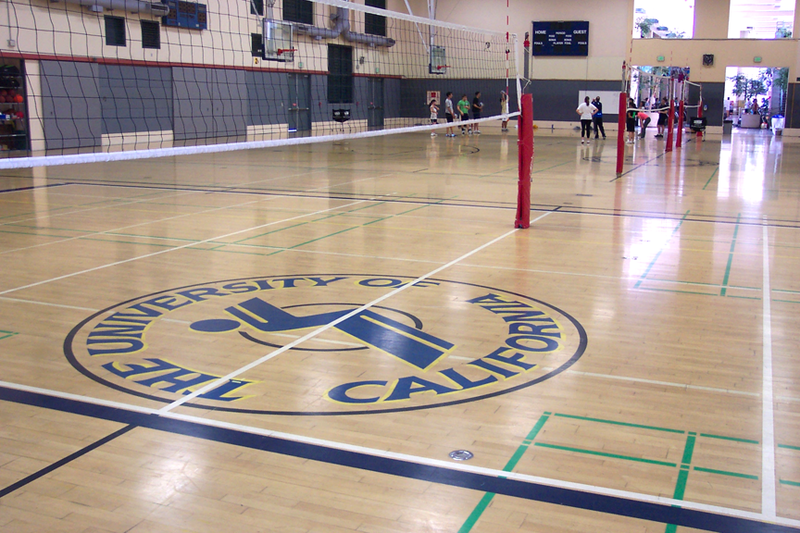 This is the premium flooring solution for basketball and volleyball courts, gym floors, aerobic rooms, multi-purpose facilities, yoga and dance studios, and anywhere a beautiful sprung hardwood floor is desired. 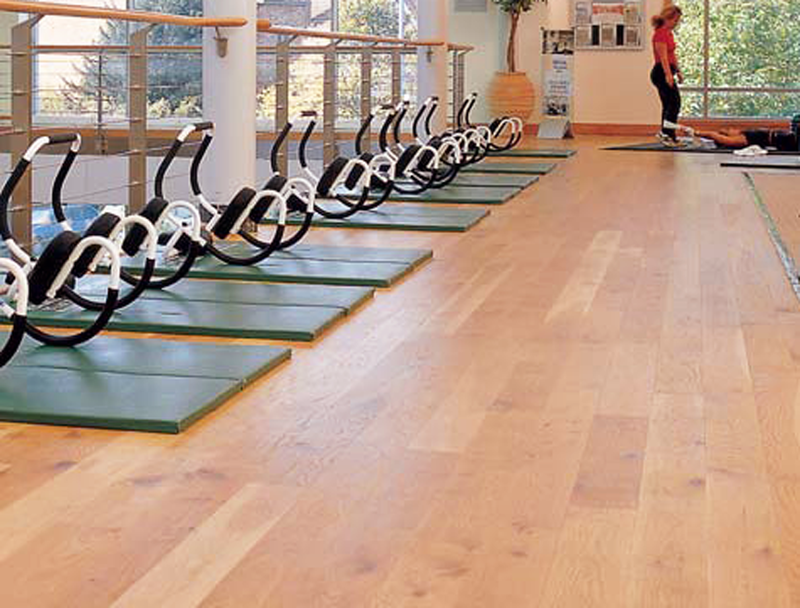 All SignaWood floors feature 7/8” PEFC™ certified solid European press-dried Beech self-supporting boards. These boards are harvested and milled to the highest industry and environmental standards, cut to precise 5.08” x 12.14’ planks with tongue-and-groove connections on all four sides. The boards are pre-finished with multiple layers of pure polyurethane lacquer, so there is no need to waste time allowing boards to acclimatize on site. Also, your facility will not be subject to the noise, dust, and vapors generated during the finishing process. SignaWood Beech offers many advantages over traditional maple sports floor. Read More. SignaWood offers a choice of 6 undercarriage systems that customize your floor’s performance. We even offer a portable system for multi-use venues and special sporting events! Our sports flooring specialists will work with you to choose the right undercarriage system to suit your unique athletic requirements and existing subfloor. · Must be installed over even subfloor. · Suitable for both high and low-impact activities. · Ideal for multi-purpose gymnasiums which play host to fast-moving ball games, high-level gymnastics, aerobics, and require the highest level of performance. Our sports flooring specialist will assess your flooring requirements in terms of athletic activity, shock absorption, vertical deformation, ball bounce, the existing subfloor, heating system, and other variables unique to your facility. They will recommend which of the following undercarriage / connection systems would best suit your needs. These systems range from our proprietary low-profile SignaWood Clip System to the extremely high performance SignaWood 110+ double sleeper system. SignaWood Portable System: Now you can have a true multi-function venue with this fully-sprung floating portable gym floor system. You can install a real hardwood gym floor just about anywhere – any time you need it. Perfect for athletic demonstrations, tournaments, exhibit halls, hotels, schools, and ice arenas, SignaWood Portable sports flooring can be installed over existing synthetic surfaces, carpet, concrete, your old gym floor, even over ice rinks! Simply roll out the foam underlayment to protect your floor and supply necessary shock absorption, then snap together beautiful Beech panels using the pre-attached brackets, and you’ll have a fully-sprung professional quality sports surface in no time! Locking perimeter reducers provide a safe and attractive transition between your permanent and SignaWood Portable floors – no one will believe it’s temporary! · Ergonomic, light-weight, pre-assembled panels can be hand-carried, or use our optional transport carts for even easier installation. 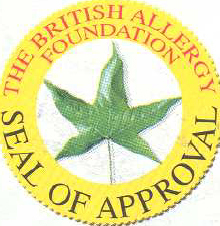 · Fast and easy installation and removal – designed to be installed and removed over and over for years to come! · Low-profile floor thickness ranges from 1” to 1¼”, depending on choice of underlayment. SignaWood Blue System: Suitable for multi-purpose use, the SignaWood Blue System is our simplest sleeper-style system. 7/8” press dried hardwood Beech boards are secret nailed to 31mm, 45mm, or 57mm kiln dried softwood sleepers that feature our specially developed 9mm continuous blue foam underside. · Suitable for underfloor heating over either a heated screed or to incorporate a heating system between sleepers. SignaWood Clip System: Suitable for medium performance use, the SignaWood Clip System is the simplest system with the lowest construction profile. This “floating floor” is a great solution for facilities that wish to put a new gym flooring system over their old one, as the floor height is raised only minimally. A 10mm foam underlay is rolled out over your existing floor (clip system must be installed over an even subfloor). This system can cut down installation time by weeks over more complicated systems. SignaWood 50 System: The lowest-profile high-performance sleeper system, the SignaWood 50 System provides a fully sprung floor that meets the highest industry standards. Planks of beautiful press dried Beech are secret nailed to veneered softwood sleepers containing two specially developed rubber strips in their underside. The outer strip has a low density and the inner strip has a high density, thus producing a two-step absorption effect with a braking system. A choice of 411mm or 336mm centers (distance between sleepers) further customizes your floor’s performance and weight bearing capabilities. SignaWood 62+ System: The SignaWood 62+ System delivers high performance sports and dance characteristics and enhanced durability while reducing risk of injury. The lowest-profile undercarriage system that can be installed over uneven subfloors, SignaWood 62+ boasts a total construction height of only 62mm (plus leveling material) and unique shock absorption. Planks of beautiful press dried Beech are secret nailed to veneered softwood sleepers that feature specially developed rubber pads. When used in conjunction with the J-Lock connection system, SignaWood 62+ offers the performance attributes necessary for fast-moving ball games while reducing the risk of injury. A choice of 411mm or 336mm centers (distance between sleepers) further customizes your floor’s performance and weight bearing capabilities. SignaWood 110+ System: The SignaWood 110+ System double layer sleeper-system is our highest-performance undercarriage system, delivering a fully sprung floor to the strictest criteria. This system can be installed over uneven floors, with a total construction profile of 110 mm (plus leveling materials if needed) with fewer packing points than other double-sleeper systems. Our patented J-Lock system ensures a fast and easy connection between the upper and lower sleepers. Planks of beautiful press dried Beech are secret nailed to kiln dried veneered softwood sleepers and feature specially developed rubber pads. When used in conjunction with the J-Lock connection system, this system offers high performance sports and dance characteristics and enhanced durability while reducing risk of injury. SignaWood 110+ delivers the performance attributes suitable for high level gymnastics, dance, fast moving ball games, and aerobics. · Ideal solution for multi-purpose gymnasiums which play host to fast-moving ball games, high-level gymnastics, aerobics, and more. Customized Performance: SignaWood features beautiful and strong pre-finished beech tongue-and-groove planks joined by a unique clip system, supported by an undercarriage that is tailored to your specific needs. Our certified sports flooring experts will determine which of our undercarriage systems best suits your needs - from a simple foam underlayment to a high performance engineered sleeper system. Most traditional maple sports floors don’t offer a choice of undercarriage. Quick, Clean, and Quiet Installation: SignaWood flooring arrives factory-finished, eliminating the need to acclimate, sand, seal, and finish. This cuts down installation time by 4 to 5 weeks (depending on undercarriage system)and prevents disruption to the rest of your facility due to the sounds and odors caused by sanding and finishing. Traditional maple gym flooring systems must sit on-site acclimating up to 2 weeks prior to installation. Once installed piece-by-piece, and sanded with noisy and dust-causing machinery, they are finally sealed and finished with multiple layers of urethane allowing toxic fumes to permeate the facility. Maple is milled to random lengths using lower milling standards. In order to support each strip head joint and prevent “dead spots”, each plank must be nailed to thick plywood subfloors that require 85% more materials than the SignaWood Clip System. Longer Lifespan: SignaWood pre-finished 7/8” Beech flooring is 18% thicker than a sanded-in-place 25/32” maple floor, allowing it to withstand more maintenance sanding and refinishing when in use. 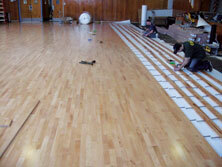 Maple gym floors must be sanded down to a ¾” thickness after installation, before it can be used. This means fewer sandings and refinishes, or a shorter lifespan. 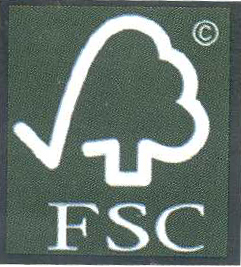 Environmentally Friendlier Flooring: SignaWood Beech is harvested using a select-cut technique, targeting individual trees rather than entire forests, and a 100%+ reforestation policy. 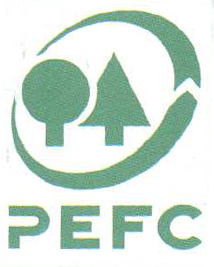 For every tree we cut down, new trees are planted in its place, ensuring good forest management. Any part of the harvested tree that cannot be used for flooring is used to fuel the production mill’s on-site power plant, with extra energy donated to surrounding cities. Maple is most often harvested by cheap and easy clear cutting techniques, which devastates old growth forests and their wildlife. While many maple mills are struggling to catch up to recently imposed environmental laws, none can match the zero waste policy in place at our Beech mills. Contact one of our SignaWood experts today! Our certified sports flooring expert will visit your facility to perform moisture tests, compare flooring samples, and confirm that SignaWood is the right solution for your athletic flooring needs. They will then determine which undercarriage system will produce the shock absorption, vertical deformation, and ball response that your particular facility requires. Because Signature Harwood arrives on site pre-finished, preparation is minimal and installation is much faster and easier than most hardwood flooring options. You expect your athletes to perform their best, and you should expect no less from your gym floor.